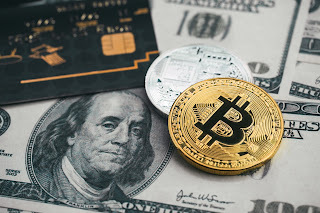 Being forced to participate in an SEC investigation, even as a witness, can be a harrowing experience, and this is true whether you are a market professional, the CEO of a regulated entity, or an investor. That investigation can have a serious effect on your business, or your career and has the risk of consuming a significant amount of time, and money, even if you have engaged in any wrongful conduct. How you respond to the initial inquiry, and how you manage the events as the investigation continues often determines the outcome of that investigation. The first important step - do not have a discussion with the Staff, and should you ignore this step - do not give the Staff false information. Lying to the SEC can be the basis for a felony charge, and the last thing you want to do is to turn a defensible investigation into an indefensible criminal charge of obstruction. We have seen it happen in our own practice, and the world saw it happen - Martha Stewart went to jail for lying to SEC investigators. She did not go to jail for insider trading, and she had a viable defense to that charge. From this point forward, you need to be involved, and to be proactive, and you need an experienced securities attorney. At this stage, the SEC undoubtedly does not have subpoena power, but that power is easily obtained. You must make a decision whether to voluntarily cooperate, and you should make that decision with an experienced securities attorney. Not only is a securities attorney knowledgeable about the law and the procedure involving investigations, the securities defense bar is small, and your attorney will have access to information and resources that you do not. In addition, if there is any chance that you will become the subject of an investigation, or that any information you have may be damaging, you need to put an attorney between you, your employees and your company, and the SEC. Your attorney will contact the Staff and attempt to determine what the nature and scope of the investigation. Unfortunately the Staff is not always forthcoming with that information, and you will have to prepare a response without knowing the scope of the investigation. Providing information on a voluntary basis is typically the better response, but not always, and you should keep in mind that some investigators can become quite vindictive if you do not voluntarily cooperate. Unfortunate, but true. Together with your attorney you can manage that voluntary request to minimize the impact on your business. The SEC is notorious for asking for reams of documents, using demands that include "all documents relating to" an issue, and which can consume dozens of hours of time to identify, review and produce responsive documents. At this stage, you and your attorney can discuss the requests with the staff, seek clarification and modification of the requests to make that request manageable. At this stage, you will also need to insure that documents, emails and notes, including electronic notes, are maintained and not destroyed. Employees need to be advised to preserve documents - no shredding, and no reformatting of hard drives. Again, being accused of destroying evidence after learning of an investigation can be worse than the outcome of the original investigation. While the seriousness of the event is enough to cause concern, a large part of any subpoenaed broker's concern is the fear of the unknown, including the procedure, what will be discussed and the target of the investigation. While the SEC will not disclose the target of an investigation to a witness, or even his attorney, a knowledgeable lawyer can obtain SEC information that will lead to a reasonable idea of the witness' role in the investigation and the scope of inquiry. However, the process itself is not complicated, but is important to understand. 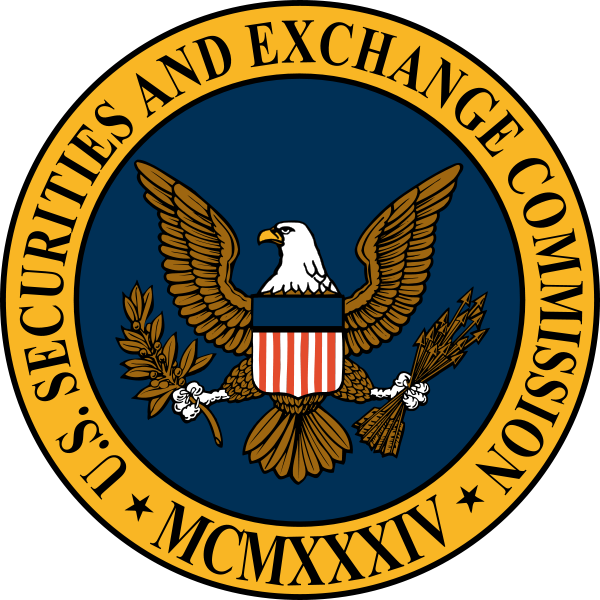 If the SEC's informal inquiry leads to the possibility of securities law violations, the Staff will obtain permission from the Commission to conduct a formal investigation - a document known as a formal order of investigation. This order gives the staff the ability to issue subpoenas, and they can serve those subpoenas on anyone, nationwide. 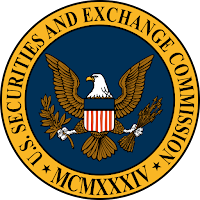 Where testimony is being compelled, the witness receives a subpoena from the SEC. The testimony is given under oath and recorded by a court reporter or tape recording equipment, is usually taken by an SEC attorney at one of their regional offices. An investigator is also present, and other SEC staff may attend. Witnesses who are subpoenaed to appear and give testimony are entitled to see the formal order, and it should be reviewed carefully. It contains information as to the scope of the investigation, when it began and who is authorized to conduct it. Additionally, the formal order may contain information regarding staff conclusions and possible subjects of the investigation. At the deposition, the Staff will make an opening statement and describe the general process to the witness. The witness is informed that he has the right to be represented by an attorney of his choice, that he may refuse to give testimony based upon his right against self-incrimination, and that any testimony given can be used in other proceedings. (In a FINRA on the record interview, a registered person has no such rights, and cannot assert his right against self-incrimination. If he does so, FINRA will immediately move to bar the individual from the industry, on the grounds that he has failed to cooperate in an investigation). The witness will also be told that he cannot "go off the record" and that only the staff can direct the reporter to stop recording the session. This is a true statement, but witnesses should be advised of one salient fact — whether the reporter records the statement or not, the staff can use anything that is said. In other words, a witness is never "off the record." An examination typically begins with a series of general questions. Depending on the responses, these may take more than an hour to complete. General questions include: the witness' name; date of birth; home and office addresses and telephone numbers; all telephone numbers; social security number; names of all immediate family members; full employment history, including job descriptions and dates of employment; complete educational background and identification of any securities- or business-related courses taken; all licenses held and when obtained; any disciplinary proceedings in which the witness was named; every occasion in which the witness has testified under oath; details of all lawsuits and arbitrations in which the witness was a party; involvement with any public companies; and the location of all brokerage accounts and bank accounts controlled by the witness. The examination then continues into the specifics of the investigation. Although the details of the examination will vary, every witness must testify truthfully, fully and honestly. It is a federal crime to make a false statement or representation to any government official, including a member of the SEC. During the testimony, the witness' attorney's ability to object to questions is somewhat limited. However, a witness is permitted to seek an attorney's advice at any time during the examination, and any question that he does not understand must be clarified by the examiner. The witness has the right to review documents he is being asked to testify about if he does not recall the exact details of the response. During the examination, it is important to keep in mind that the staff members who attend the deposition will have a role in determining whether further action will be taken. Therefore, the witness' demeanor and attitude during the examination are important. After the examination is over, the witness or his attorney is allowed to make a statement on the record. This must be decided on a case-by-case basis but should be used if there were any unclear responses that were not addressed during the examination. At the examination's conclusion, the witness has a right to inspect the transcript of the proceedings and may — at his own cost — obtain a copy. Although the SEC may deny transcript access, it does not do so in general practice. To correct substantive mistakes, an affidavit will have to be prepared, and there may be a request for an additional examination. Unfortunately, the SEC has no obligation to inform witnesses of an investigation's outcome or even its termination. In fact, the witness may never hear from them again. Should the matter proceed further, there are a number of other possible outcomes, including a cautionary letter, a referral to civil or criminal law enforcement organizations, a referral to a self-regulatory agency, administrative proceedings or injunctive actions. Receiving a subpoena is not an indication that the SEC thinks you have done something wrong. Most people are subpoenaed as witnesses, not as investigations' targets. The goal during this process should be to ensure that the witness remains a witness, and nothing more. That can only be done with careful planning and the assistance of an experienced securities attorney.